For successful summer holidays in the mountains, book your accommodation to La Tzoumaz in Valais massive, Switzerland. This mountain resort will offer you exceptionnal areas and surprising landscapes. Your summer accommodation to La Tzoumaz will be for you a moment of wellness in the heart of a beautiful nature and you will spend holidays in wide open spaces. Our moutain offers will make you live warm emotions with all your family. We propose you quality holidays accommodation in all French massives, in the heart of mountains. We have many residences to rent for your summer to La Tzoumaz. Let yourself be carried by a feeling of happiness, enjoy the summer holidays in the mountains full of sun and discoveries ! 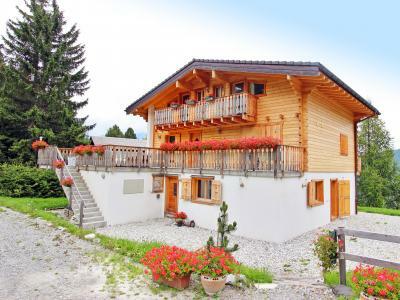 The chalet Flocon de Neige is an outstanding luxurious chalet with sauna, internet access. Fantastic location on the top of the resort of La Tzoumaz. Large living room with a cosy open fire log, lounge area and home-cinema. Great view on the Bernese Alps. A high-valued and modern open kitchen. 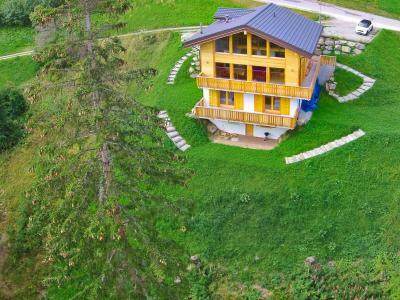 The chalet is built as an low-energy house ('Swiss Minergie'-certificate). Heat supply partly by a modern and environmentally friendly geothermal energy system. Distance to the resort center of La Tzoumaz ~1,4 km. In the center you find a supermarket, shops, pubs, restaurants, kindergarden and a bank. 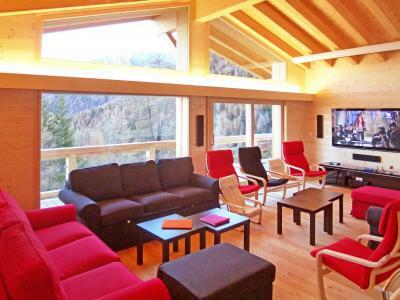 Outstanding, luxurious chalet with sauna, open log fire and internet. Very spacious, spreading the charme of a swiss mountain chalet. Bright and stylish living and eating room, with cosy chimney corner; you have an access to the huge panoramic terrace with a great view on the Bernese Alps. Best situation in about 150 m walking distance away from the resort center of La Tzoumaz (foot path non-treated). In the center, you'll find a small supermarket, shops, restaurants, kindergarden, bank. It is a new magnificent chalet with sauna. The swiss mountain chalet provides a calm atmosphere. The spacious living room has a cosy chimney corner and an access to the huge balcone with a breathtaking view. It is 150 m walking distance away from the resort centre of La Tzoumaz. In the centre you'll find a small supermarket, shops, restaurants and bank. The chalet is situated above the centre of the village. The village center with supermarket, restaurants, pubs, child care, post office and bank are 750 m away from the chalet. 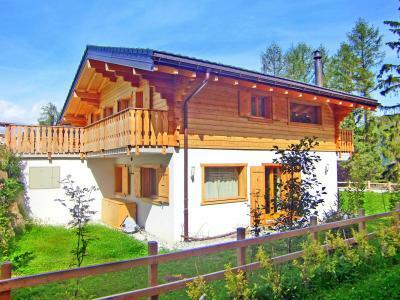 The Chalet Bellevue, cosy, well-furnished with chimney on 2 floors. 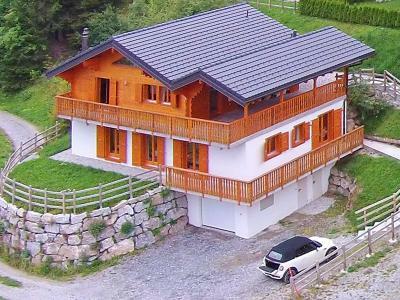 Ideally situated, you can go to the chalet in car. It offers a marcellous view over the environment. 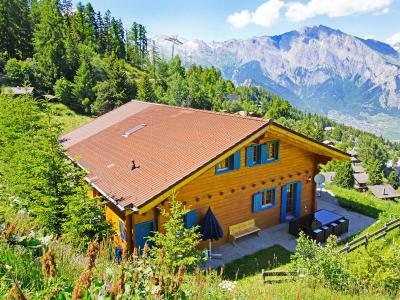 The chalet Chaud is a charming chalet of 220 m² with a wonderful view on the Bernese Alps and the Rhone Valley. It can host until 11 persons and it is located 450 metres away from the resort centre and shops. 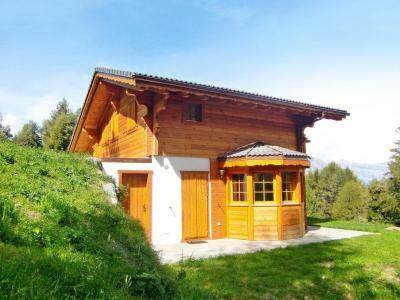 The new magific chalet Michelle with sauna and internet access, have the charme of a swiss mountain chalet. You have an acces to the huge panoramic terrace with a great view on the Bernese Alps and the Rhone Valley. In the center you find a small supermarket, shops, restaurants, kindergarden, bank. So no need of a car for skiing, shopping or dining. 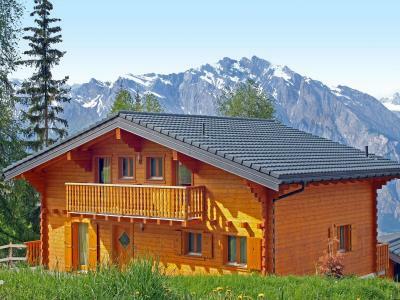 The Chalet Théo is ideal for families. 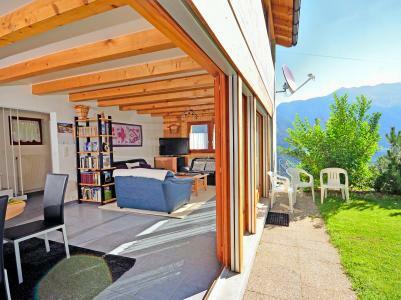 It offers you a view over the valley and the mountains Inhabitants of Valais. At the ground floor, you will find the opened kitchen, the corner of meal with a big table, as well as the warm stay with its stove. The Chalet Theo is situated 1500 m away from the center of the resort of Tzoumaz. In the center, you will find a small supermarket, businesses, restaurants, bank and day-nursery.